Everyone agrees that the Zika virus poses a threat, not only to pregnant women, but possibly to everyone. The virus attacks fetal brains. But scientists don't know the long-term consequences of carrying the virus. That's worrisome, since the virus can be transmitted by mosquitoes and then by those infected through sexual contact and transfer of bodily fluids. Are we prepared to effectively tackle the Zika threat? The Centers for Disease Control (CDC), The Federal Drug Administration (FDA), and the National Institute of Health (NIH) do stellar jobs in carrying out their mandates. But they face formidable obstacles for dealing with pandemic threats. While these and other agencies have resources for initiating research, funding research by others, and mobilizing national and international resources, with each threat they almost have to start from scratch to crank up the global response engines, which are widely dispersed and fragmented. According to a White House sponsored report in 1994 about worldwide responses to disease outbreaks, "the U.S. Government response to international epidemics occurs on an ad hoc basis... The authority of CDC, for instance, does not cover international disease control and prevention, and USAID, provides aid for improving the lives of the citizens of the developing world, has limited technical and financial resources in this area..." Despite more recent CDC policy initiatives starting in 2010 to address global health, in practice little has changed. That was evident in the widespread criticisms of the slow U.S. response to the Ebola outbreak in 2014. One scathing report criticized the U.S. for focusing on travelers from affected areas passing the virus on to others at home rather than addressing the virus at its source. In 2014 Doctors Without Borders (Medecins Sans Frontieres) called the international response to the Ebola outbreak "lethally inadequate." A January 2016 United Nations report, Protecting Humanity from Future Health Crises, lamented that "Too often global panic about epidemics has been followed by complacency and inaction." The report warned that future epidemics could be far more devastating than the West African Ebola outbreak and that "a highly pathogenic influenza virus could rapidly result in millions of deaths and cause major social, economic, and political disruption." 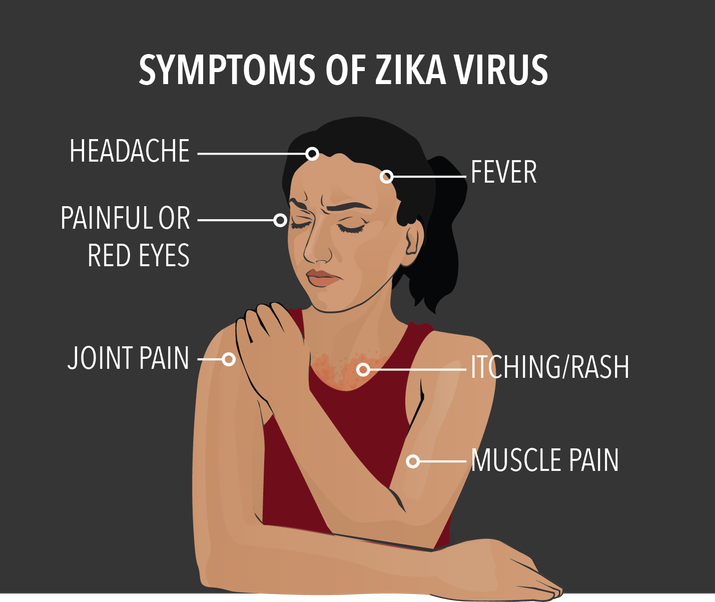 Nevertheless, despite alarm and warnings, the current mobilization for combating the Zika virus limps along. A June 2016 Bloomberg article, "The World Can't Even Find Pocket Change to Fight Zika," charged global inertia in response to this epidemic. Punctuating the point, on August 30th Tom Frieden, Director of the CDC, announced that his agency was running out of money to fight Zika. Although an African ambassador once called the CDC "the 911 for the world," its ambitious efforts are hampered by inadequate funding. Why don't we have an adequately funded organizational infrastructure ready to respond to pandemic disease threats with a primary focus on treatment, cure, and prevention (vaccines)? Although the World Health Organization (WHO) aims to be a central body to mobilize and coordinate global actions in response to pandemic threats it may be too underfunded and too physically dispersed to accomplish that role, with a staff of "more than 7000 people from more than 150 countries working in 150 country offices, in 6 regional offices and at our headquarters in Geneva." An independent international panel of experts concluded that the WHO moved too slowly in response to the deadly Ebola outbreak in West Africa: "... there was strong, if not complete, consensus that WHO does not have a robust emergency operations capacity or culture." "The extensive cost required to produce a new pharmaceutical product has meant that private sector investment in pharmaceutical innovation has been disproportionately directed to products meeting the needs of patients in developed countries, particularly in the United States, which combines strong patent protection with a market free of price controls." Another commentator noted: "Pharmaceutical companies are not charities." Simply put, Big Pharma will only swing into action when it hears the cash register ring-up big numbers. But interest in addressing Zika is growing since the Zika-carrying mosquito has jumped to Brazil and is spreading with lightning speed throughout that region, the Caribbean, and the North American continent, where it was first identified in Florida. It is likely that it will soon spread throughout the U.S. It is already in fifty countries, affecting twenty-five percent of the world population. More than five-hundred cases (mostly travel related) have been identified in New York City. And with New Yorkers returning from summer vacations in Puerto Rico and the Dominican Republic (and continued heavy traffic between N.Y and the Caribbean), where Zika is near epidemic, the incidence in New York may grow. With the virus spreading and the long-term consequences unknown, U.S. government agencies and private foundations are revving up funding for pharmaceutical companies and other research organizations, public and private, to find effective treatment, cure, and a vaccine to fend off a possible wider crisis or pandemic. To identify promising approaches, the National Science Foundation has sounded a call for Zika virus proposals. 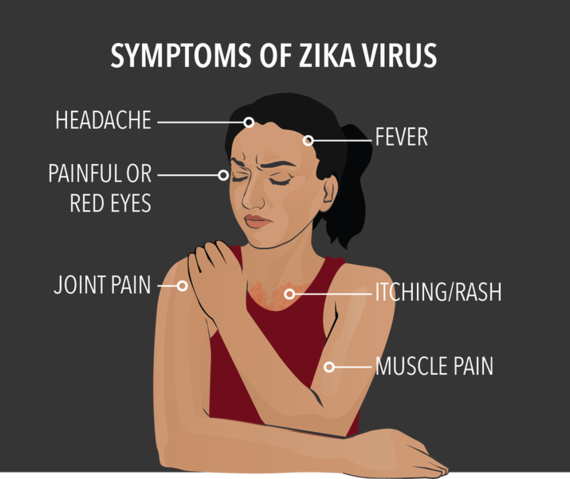 And the National Institute of Allergy and Infectious Diseases (NIAID) has issued a "Notice of Interest to Highlight High-Priority Zika virus (ZIKV) Research Areas." Even crowd funding has gotten into the act. Unfortunately, when threats arise, government agencies and other organizations around the globe need substantial new funding, a time-consuming and often uncertain quest. For example, in the U.S. for the CDC and other government agencies to carry out their own plans for addressing a crisis, and to provide incentives for research to pharmaceutical companies, universities, other organizations, and foreign aid, they must first get substantial funding from Congress. To battle Zika President Obama requested $1.9 billion in emergency funding in February 2016. But our dysfunctional Congress has failed to act. In response to the impasse, Obama has moved $589 million earmarked for Ebola to Zika funding, endangering the public if Ebola resurfaces. And there is a larger issue. Even if funds are eventually obtained, we are locked into a knee-jerk market approach to health crises of offering incentives to private industry and others to entice them with the prospect of profiting from cures and vaccines. Prior to 1980 the U.S. government retained patents on inventions generated by funded research. Then the 1980 Bayh-Dole Act (the Patent and Trademark Law Amendments Act) changed that practice. The Act "permits businesses (large and small) and nonprofits (including universities) to retain ownership of the inventions made under federally funded research and contract programs, while also giving the government the license to practice the subject invention. In turn, the organizations are expected to file for patent protection and to ensure commercialization upon licensing for the benefit of public health." Government funding of pharmaceutical research at universities is often so fragmented that it's hard to see a coherent picture. One example, in addition to other initiatives, the National Science Foundation has funded a plethora of small Zika projects at universities throughout the United States. Is the shot-gun market approach the most effective method for tackling the myriad unknowns involved in preventing a world-wide Zika epidemic and addressing other future pandemic threats? A striking historical example says No and illustrates a proven model for speedy success in tackling the unknown: The Manhattan Project. In August 1939, two years before the U.S. entered World War II, Albert Einstein wrote a letter to President Roosevelt about the prospects for splitting the atom, which he said could unleash enormous destructive power. He suggested that Germany might be working on such an atomic bomb. The threat of the Third Reich getting the bomb first didn't entirely sink in until May, 1942, by which time we were at war with Germany. Heeding Einstein's warning, FDR signed an order launching a secret project to develop a nuclear weapon. The Manhattan Project--as this secret enterprise was called--was controlled by two charismatic leaders with a single-minded goal: beating Germany to the bomb. General Leslie Groves managed the overall operation and physicist J. Robert Oppenheimer directed the scientific side. The Manhattan Project gathered the best scientific minds from around the world in Los Alamos, New Mexico, and other locations to solve the thorny problems at the outer limits of scientific knowledge. Many of the scientists were refugees from Nazi-controlled countries. Constant meetings and evaluations of progress quickly identified dead ends and redirected efforts toward more fruitful ones. Within four years they achieved success. And the total cost was two billion dollars, which translates into twenty-six billion in today's dollars. Compare that with the fact, reported by the Institute for Health Metrics and Evaluation (IHME), that despite the world spending more than $200 billion dollars on improving health in just lower income countries over a fifteen year period up to 2014, the threat of pandemic diseases from identified viruses and deaths from drug resistant bacterial diseases persist. In addition, thirty eight million people worldwide die each year from non-communicable diseases. Today we know much more about viruses and disease than the Manhattan Project scientists knew about atomic energy or splitting atoms. With the best minds working cooperatively scientists should be able to tackle potential pandemics and other threats to our planet with comparable and perhaps even greater speed. To accomplish that goal requires a permanently staffed facility like Los Alamos that can promptly mobilize the best international resources to meet the challenges of pandemics and other planetary threats. But with today's technologies, the scientists would not have to be in one or several locations as was the Manhattan Project. They can be brought together with video conferencing in a virtual Manhattan Project directed by the management team from a central location. Rather than the market model of funding individual companies, universities, and other research entities to compete in a race toward victory, why not compensate companies and institutions for the release of their scientists when they are needed to participate in the new Manhattan Project model for addressing global crises? This model makes sense if the primary goal is victory rather than merely the preservation of an ideology: "Leave it to the market." Luck may have been on our side in that the Ebola crisis has waned. We might get lucky again with Zika if that crisis fades or a vaccine miraculously appears. But luck and miracles are not effective business plans for addressing threats that can decimate the world population or bring massive destruction to this pebble floating in space that we call home. And as every gambler knows, luck eventually runs out. The stakes are high. We must put in place a rapid-response infrastructure that is commensurate with the realistic potential dangers facing us, rather than a lumbering business as usual response that bows to a lame ideology. Are we so married to the market model that we will cling to it "till death do us part"? Bernard Starr, PhD, is Professor Emeritus at the City University of New York (Brooklyn College) where he directed a graduate program in gerontology and taught developmental psychology in the School of Education. He is also the main United Nations representative for The Institute of Global Education (IGE) that founded Radio for Peace International and the Mucherla Global School in Mucherla India. IGE is an NGO with consultative status with the Economic and Social Council (ECOSOC) of the United Nations.